Now that media streamers built by Amazon, Roku and Apple pretty much rule the way we watch Internet TV, is the Home Theater PC dead? The glory days of having a computer hooked to your television may be over now that we have $25 to $150 Media streamers from Roku, Apple and Amazon all competing for our TV viewing habits. The price and easy to use nature of today's media streaming devices is simply too good to pass up. 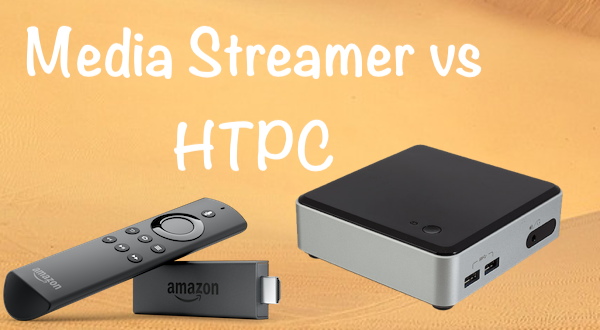 It's really not fair to compare a media streamer to a Home Theater PC. One was built to be more of an appliance, turn it on and it works. The other is kind of like a blank slate. Set, it up and design it however you like using software like Kodi and Plex as building blocks and you have your own media streamer that you have complete control over. The average person won't take the time any longer to build or set up a Home Theater PC especially with the wide range of low cost media streamers available. For many, building a HTPC is really no longer worth the trouble. Piracy Drives Sales It's widely known in streaming TV circles that many people buy low-cost Fire Stick media streamers with the express purpose of using Kodi and other 3rd party apps that are not in the Amazon or Google Play Store. They buy Fire TV Sticks mostly to watch pirated movies and TV shows on them. It's widely known in streaming TV circles that many people buy low-cost Fire Stick media streamers with the express purpose of using Kodi and other 3rd party apps that are not in the Amazon or Google Play Store. Now that Amazon has reached top dog status in sales with their Fire TV media streamers, at some point they will come under even more pressure from content producers to do more to clean up and prevent piracy on their media streamers. Unfortunately, it's also a known fact that piracy drives sales of media streaming devices. The more a manufacturer locks down their devices, the more they will be driving some future and current customers directly into the arms of competitors who offer a more open platform. Apple learned this lesson the hard way early on when their first and second generation Apple TV models were widely popular. Why? Because many users had figured out they could buy an Apple TV that was designed to be used to rent movies and shows from iTunes and instead jailbreak it and watch movies and shows they downloaded from the Internet for free. Using an Apple TV media streamer was cheaper and easier at the time than building and using an HTPC. Apple worked non-stop to close the holes in their firmware that allowed jailbreaks on their Apple TV platform and even succeeded. 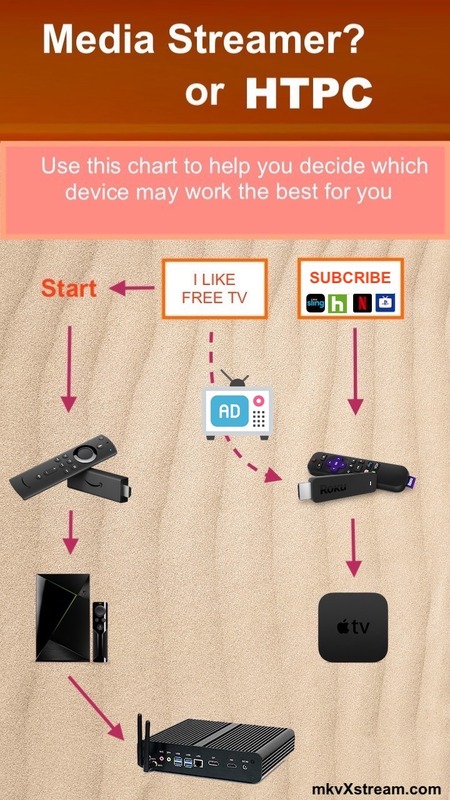 The result was many Apple TV users simply chose to move on to Roku which at the time was a much more open media streamer which allowed users to use them how they wanted. Piracy was also at one point rampant on Roku even though users can't install Kodi directly to these devices. Roku over the last year has done a remarkable job of purging any channels or apps that had pirated content from their platform. 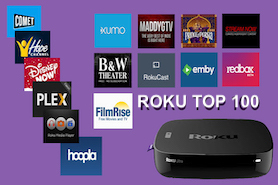 Unfortunately, with the latest media streamer sales numbers, sales of Roku have also declined and now it is Amazon Fire TV devices that have overtaken both Roku and Apple TV as the number one selling media streaming devices in the US. Apple TV sales of their latest 4K media streamer have once again started to surge. Having learned some lessons from the past, their current 4K Apple TV model is now less restrictive than Roku with several IPTV players available for download in the Apple Store. 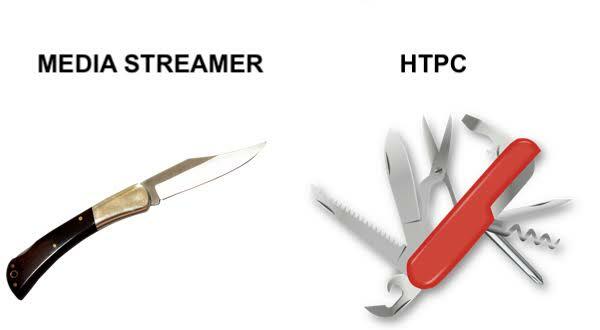 Once all three media streamer companies are forced to place more restrictions on their devices, the HTPC is where many former users may choose to go next. Sure there is still Android, but Google owns Android and could also be one day pressured to restrict the type of app installed on these media streamers as well. Size Matters - A lot has changed with HTPC's from ten years ago. HTPCs of today are a fraction of their size from the large desktop computers that were hooked to TVs via an HDMI cable. Offerings from Apple like the Mac Mini and Intel NUC are tiny hardly larger than two Nvidia SHIELDS. Yet they can run a full Windows, Linux or OS X computer operating system. You can outfit modern HTPCs with 32GB of RAM a large SSD hard drive and have a media streaming device that is fully unrestricted and totally under your control. Not under the control of a large corporation that only wants to harvest your personal information, television viewing habits to sell you stuff or make you watch ads for their profit. Not only are modern HTPCs tiny, but they are also whisper quiet, and use very little energy. Their small footprint allows them to easily be installed behind a flat screen TV. Once set up, they can be booted directly into Plex, or Kodi and the typical user would never even see the PC operating system in the background. No Ads - selling advertisements or other products from their store on media streamers is why many manufacturers want you to buy their media streamer. Because selling advertising and other goods on their platform is what's making them rich. While blocking ads, on a Home Theater PC is relatively easy, blocking ads on a media streamer like Roku or Apple TV is much harder. Full Control - With a Home Theater PC that you build and own yourself, you are the captain of your own boat. You can choose which apps to stream your content, you won't have to worry about someone taking down your favorite channel or app because it does not meet their new corporate content policy. If you are not happy with an app or site, you have many choices of streaming sites like these which you can watch directly from a web browser. Both Apple and Roku don't offer web browsers on their media streaming platforms. Stream and Record Live TV - With an antenna and a HDHomeRun or Hauppauge WinTV-Dual HD USB Tuner it's even possible to turn your HTPC into a DVR that can record Live HD TV from an antenna. You can archive and store as many shows you want for as long as you want without them expiring after a certain time period as many cloud DVRs now do. You are only limited by the size of your hard drive. No current media streamer can match that. While a Home Theater PC may never be as popular with mainstream cord-cutters as a Roku, Apple TV or Fire TV Stick, at some point we may once again see a renewed interest. Who knows, the HTPC may even make a come back. There are tons of choices available today for cord cutters. These are the media streamers and HTPCs that will give you the best bang for your bucks. 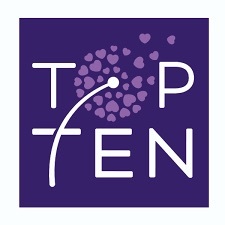 Use them to cut the cord and save you a bundle every year compared to expensive cable or satellite TV bill. This is Amazon's newest 4K Fire TV Streaming Stick. It offers a nice performance boost over the original Fire TV Stick which can seem a little sluggish at times. While nowhere near as fast as a SHIELD or Apple TV 4K, (Nothing out there today is) it can hold it's own quite nicely for playing 4K movies and HD videos on the cheap. This is still the flagship Android TV box. Since it was built to be also used as a gaming system the performance level from this box as a media streamer is unreal. The interface is one of the few Android boxes that makes it work great from the couch with a remote. No Android box built today can yet come even close to giving you the same performance as a SHIELD TV box still can. 2018 Edition - This one of the nicest HTPCs we've used for the last 5 years to record daily HDTV news shows from an Antenna. Apple recently updated their Mac mini line and they now can be configured with much faster 6-core processors and a lot more RAM. With streaming devices like Roku offering casting built in they still can't do it nearly as well as a Chromecast can. This hardware is designed to cast a movie or show from your phone, tablet or PC right onto your TV. If you own a SHIELD it already has it built-in. You can also stream from thousands of Chromecast apps. Since you need to use a phone as a remote, it may not be for everyone. If you crave the full freedom only an HTPC can give you then the tiny NUC is what you need to build your Home Theater PC. It comes barebones so you will need to add your drive, RAM and an OS but then you will complete control over your TV viewing from the Internet. If you want the ultimate in performance, silence and capability then check out this Mini PC with an Intel i7 6th Gen. SKYLAKE CPU 16GB RAM, 128GB SSD, 4096x2304, HDMI, DP, 4USB 3.0, Card Reader, WiFi, Metal Case, Windows 10. This the cheap Android Box everyone is buying that blows away the Fire TV streamer from Amazon. Not only will you have a more open Android operating system, the price for performance can't be beat..
Place your media streamer or HTPC securely and hidden out of sight behind your large screen TV with this mount. No more exposed dangling wires to worry about.